Since most of us have forgotten our school teacher’s lessons on active and passive voice, I’d like to cover it today. That seems like a good outcome from the chocolate brown poodles irresponsible actions! I love the active voice more than the passive. I like its lack of ambiguity. 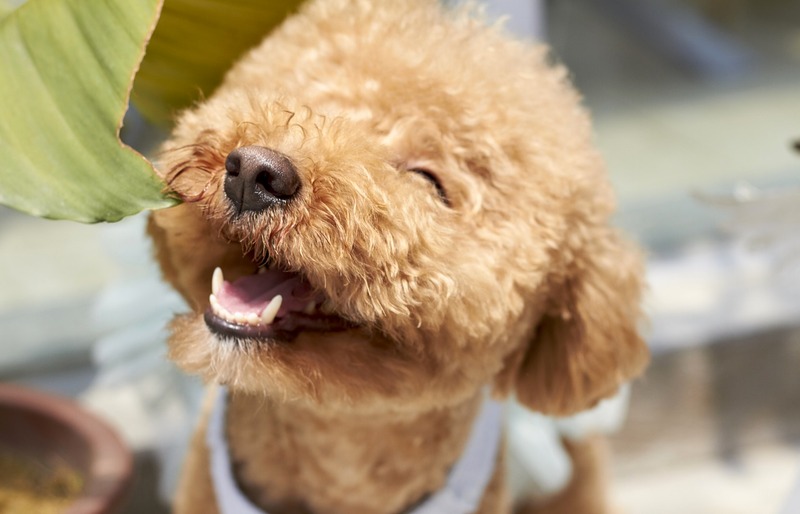 The active voice focuses on the person or thing (poodle) responsible for the action. By contrast, in the passive voice, we concentrate on the object of the action (me). I prefer to hold people (and poodles) accountable for their actions. I hate you to think that I fell off my bike because I was just not riding well. I want to make it clear that the poodle was the cause of my downfall. If I wrote in the passive voice that I was knocked from my pushbike by a poodle running in front of me, you’d still get it, but it’s less direct. And less emotive. It’s more clinical, like a report. I could make it even more passive. About 10 days ago I was felled from my pushbike by a brown poodle. Now you have no idea what happened. As a reader, you have to start resorting to guesswork. That’s the biggest problem with passive voice: It can get confusing as to who is doing what to whom. And when there is a lot of passive voice used in written work it becomes even more complicated. But the passive voice is not wrong. That is a passive sentence — the one before last. I used it because I didn’t want to point the finger straight at you, saying if you use the passive voice all the time no one will understand what you’re talking about. I was trying to be polite. Also, that sentence was about the action (using passive voice) rather than the actor (you). So there you have three uses of the passive voice. You can use the passive construction to make your writing less emotive and more Impartial. You can use it to be polite or tactful in what you’re saying. And you can use it to stay focused on the action rather than the actor. By extension, the active voice can sometimes be the wrong choice. It’s blunt to the point where people can feel defensive. It’s pretty emotional. Sometimes we want to take the heat out of our argument. So when is passive the wrong choice? I’m going to give you some questions to ask yourself when you are reviewing your writing that will help you to decide if you have chosen the passive voice correctly. 1. Did I choose the passive voice or did I use it without thinking? 2. Do I want to create an emotional connection with the reader or am I trying to calm their emotional responses? 3. Am I addressing an audience that is sensitive to status? Do I need to be polite and tactful with them? 4. Could my reader be confused about who did what to whom? For example, A woman and a bike rider are crossing the road. She is hurt. 7. Do I use the passive voice in more than about 10% of my written work? At about this level your reader will struggle to understand what you were trying to say. If it’s important to them, they will continue to work at it. However, most of us just give up when we encounter too much of this construction.